When life gets tough, people will find themselves picking and choosing which bills to pay, and in end, can result in home foreclosure after missing 3 month of mortgage payments. The last thing a family wants is to lose their home, which is why at Joseph C. Crudo, PLC, we aim to help our clients keep their houses by strategizing debt relief plans as well as negotiations and other tactics. 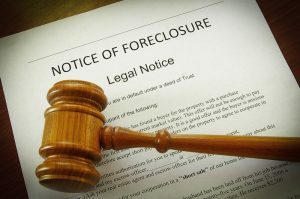 If you are facing a foreclosure in San Diego, contact us for Foreclosure defense attorneys that can help. Unfortunately, the recession which started in 2008 continues to cause families and individuals to face foreclosure by the banks on their homes. At Joseph C. Crudo PLC, we offer solutions in order to help people stay in their home until a final solution can be acheived. The California legislature passed laws which require banks to negotiate in good faith with mortgagees to modify their loans or allow mortgagees an opportunity to sell their home via short sale. Please contact us for more information so we, at Joseph C. Crudo PLC, can help you through this trying and difficult process. With the help of our team of experts, we will analyze your current situation to factor out any solutions or strategies we can use to keep your house in your name. Bankruptcy – You can file for Chapter 13 or Chapter 7 bankruptcy to stop it immediately. Short Sale – Applying for a short sale will give you time to delay it until your lender has decided whether or not to approve the short sale application. Litigation – Any lawsuit filed against the lender will stop it. Modification – In California, when borrowers apply for modification, the foreclosure is delayed until your lender approves or denies the modification request. Deed in Lieu – When a deed of lieu is applied for, it delays it until the lender has decided to approve or deny. Most people will wait until they are in trouble to contact a lawyer, we recommend contacting us as soon as you foresee missed mortgage payments in your future. This will give us a head start on how we should address the situation and help you keep your house. Call 858-622-7280 for a free consultation today! Why Should I Get a Foreclosure Attorney?